Nonetheless, 2009's "Varshons" — with songs by Gram Parsons, Wire and Leonard Cohen, among others — was hailed as an excellent if stopgap effort until the surely imminent release of original material. ATHENS, Greece (AP) — Power has been restored to the Greek resort island of Hydra after a blackout had left it without electricity and disrupted the local water supply for more than a day, authorities said Monday. The outage occurred early Sunday, leaving the island's health clinic running on an emergency generator along with a handful of businesses. A state of emergency was declared on the island Monday and a navy ship had been dispatched to provide support for the water system. Even when major an-album-a-year bands and singers are rare, the 17 since Jennifer Warnes' last record, "The Well," are far too lengthy an interval, making her return that much sweeter. Still further back is her career peak — her tremendous 1987 collection of Leonard Cohen songs, "Famous Blue Raincoat" — and her soundtrack hits from "Norma Rae," ''An Officer and a Gentleman" and "Dirty Dancing." The concert, featuring local musicians Brandon Goff, Stephanie Fagan and Todd Norris, will start at 7:30 p.m. at the Francis Marion University Performing Arts Center. A social hour will start at 6:30 p.m. Craft beer and wine will be available. GANGNEUNG, South Korea (AP) — Sui Wenjing knows what it takes to overcome injuries. The Chinese pairs skater underwent surgeries on both of her feet a couple of years ago, taking her off the ice entirely for several months. The painful recovery began with learning how to walk again, then getting back into skates, and finally joining partner Han Cong for world-class competition. PARIS (AP) — A French Muslim woman has quit a TV singing competition amid criticism of comments she posted on Facebook after Islamic extremist attacks in 2016. Mennel Ibtissem drew nationwide attention for a moving performance Saturday on French TV program "The Voice" of Leonard Cohen's "Hallelujah." A French-born woman of Syrian origin who wears a turban, Ibtissem notably sang one passage in Arabic. In a night expected to be dominated by rap and pop acts, rock bands ended up battling it out in a handful of genre categories at the Grammy Awards. San Antonio’s Nothing More went in with three nominations — for rock song and performance for its hits “Go To War” and rock album for “The Stories We Tell” — but failed to win any awards. 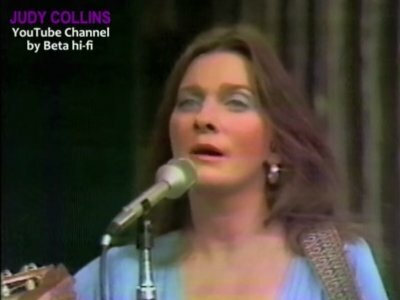 Though you have probably heard many things about Judy Collins, you might not have heard this: she kickstarted her music career while living in Storrs, Connecticut. She was there in the early '60s with her first husband, Peter Taylor, while he was studying at the University of Connecticut, and by matter of proximity, Collins frequently drove to Greenwich Village to perform. It was on those trips that she would meet musicians such as Bob Dylan, Leonard Cohen and Joni Mitchell, and the rest we'll say is history. LOS ANGELES (AP) — Elvis Costello and Lana Del Rey will headline a tribute concert for singer-songwriter Leonard Cohen in November to mark a year since his death. Cohen's family announced "Tower of Song: A Memorial Tribute to Leonard Cohen" on Monday. The concert to be held in Cohen's native Montreal is scheduled for Nov. 6, a day before the anniversary of his death at age 82. NEW YORK (AP) — Oscar-winning documentary filmmaker Murray Lerner, who captured Bob Dylan going electric at the 1965 Newport Folk Festival and preserved legendary music acts like Jimi Hendrix and Leonard Cohen forever on film, has died, said his son, Noah. He was 90. 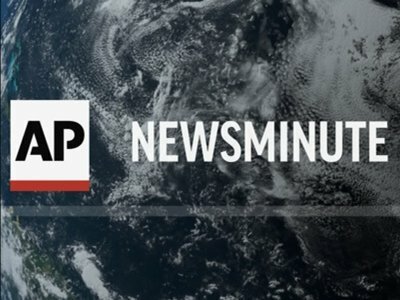 NEW YORK (AP) — The death of Linkin Park frontman Chester Bennington came as a surprise to the world when it was announced, but it also struck similarities to the death of fellow rocker and close friend Chris Cornell, who killed himself in May. Bedouine is Azniv Korkejian's alias and the title of her debut. It's a hushed, haunted, delicate wonder — a collection evoking 1970s singer-songwriters which pairs her thoughtful words with unfussy arrangements. What: Following a 10 a.m. screening of "Leonard Cohen: I'm Your Man" at the College of Charleston Jewish Studies Center (96 Wentworth St.), professor Jonathan Karp of Binghamton University will deliver a lecture on the Jewish content found in the late singer's music career. Kauai Voices will present “Classics II — The Music Lives On!” next weekend. Shows are scheduled 7:30 p.m Saturday, June 3, and 3 p.m. Sunday, June 4, at St. Michael and All Angels Episcopal Church in Lihue. What: Charleston Music Hall will present Women & Cohen: A Tribute to Leonard Cohen, featuring performances from Lindsay Holler, Hazel Ketchum, Laura Alward Ball, Ann Caldwell, Jessica Mickey, Jenny Ave-Lallemant, Hillary Keck Arnold, Clare Elich and Ellie Jos. WICHITA, Kan. (AP) — A haunting rendition of Leonard Cohen's "Hallelujah," sung by an American high school student into a wishing well in Italy, has gained a lot of online attention. What is poetry? "Poetry is just the evidence of life," Leonard Cohen explained. "If your life is burning well, poetry is just the ash." Or maybe "poetry is truth in its Sunday clothes," a sentiment expressed by Joseph Roux. Pablo Neruda thought if it this way: "Poetry is an act of peace." Wallace Stevens harbored a similar notion: "The poet is the priest of the invisible," he said. I don’t intend for this to sound sad or depressing, but I want to say a few things about loss. This past year, we have lost an awful lot of famous people from the worlds of politics, sports and entertainment. MINNEAPOLIS (AP) — The death of megastar Prince, the tragic answer to the nearly three-decade-old mystery of Jacob Wetterling's disappearance and a stabbing attack at a St. Cloud mall were among the top stories in a Minnesota year that seemed full of them. Something happens in early November ... what was it again? Meantime, let's remember singer LEONARD COHEN, dead at 82. Many find themselves singing "Hallelujah," his much-covered ballad — including a somber MCKINNON on "SNL," a few days after the election. Wes Jones quietly motored his charter boat along Lake Pend Oreille’s eastern shore Tuesday morning, pulling close to the rocky cliffs to allow his passengers unobstructed views of dozens of circling bald eagles. Eagles soared above the lake, landing in pine trees and taking off again as Leonard Cohen’s “Hallelujah” played softly in the boat. The music lent a dreamlike, choreographed feel to the eagles’ flight. LOS ANGELES (AP) — Singer-songwriter Leonard Cohen died in his sleep after falling down in the middle of the night at his Los Angeles home, his manager said Wednesday. "The death was sudden, unexpected and peaceful," manager Robert B. Kory said in a statement. The details from Kory provided the first glimpse of how Cohen died. No cause was given last week in the initial announcement of his death. The statement also said that Cohen died on Nov. 7 — three days before his passing was made public. NEW YORK (AP) — A happy Hallelujah, Leonard Cohen. The Canadian chanteur's most famous song bubbled into the collective conscious after he died Nov. 7 at 82. Soon after the sad news, Kate McKinnon as her Hillary Clinton character sat in her white suit at a piano for a serious turn at the song on "Saturday Night Live." Of course, Cohen did it best, having spent five years on multiple drafts before its debut in 1984, but which artist among more than 300 covers deserves props? The Vermont State Police has apologized and deleted a controversial tweet centered around the bitter election between Donald Trump and Hillary Clinton. The tweet, published late Saturday night, read: Someone tell #KateMcKinnon we're hiring... #snl #LenoardCohen. LOS ANGELES — Leonard Cohen, the baritone-voiced Canadian singer-songwriter who seamlessly blended spirituality and sexuality in songs like “Hallelujah,” “Suzanne” and “Bird on a Wire,” has died at age 82, his son said. LOS ANGELES (AP) — Leonard Cohen, the baritone-voiced Canadian singer-songwriter who seamlessly blended spirituality and sexuality in songs like "Hallelujah," ''Suzanne" and "Bird on a Wire," has died at age 82, his son said Thursday. "My father passed away peacefully at his home in Los Angeles," Adam Cohen said in a statement. "He was writing up until his last moments with his unique brand of humor." Leonard Cohen's late, late career resurgence reaches new heights on "You Want It Darker," an elegant treatise with deep felt layers of wisdom and a sense of finality. Produced mostly by son Adam, Cohen's third studio album in five years puts his most effective musical forms through a filter of restraint. Nothing distracts from the 82-year-old's haunting lyrics, and his vocals remain both otherworldly and down-to-earth. Leonard Cohen’s Hallelujah: Cry of love or outrage? In 1984, Leonard Cohen released an album, Various Positions, containing the song, “Hallelujah.” For that recording, Cohen pared 80 stanzas down to four, and though his dispassionate version of “Hallelujah” initially achieved little recognition, even with an early live cover by Bob Dylan, John Cale’s release inspired an enormously popular and critically acclaimed version of “Hallelujah” by the late Jeff Buckley.